All the features you demand on a long life fader. The user replaceable Plug-in "P" version builds on the simplicity of the Innofader PNP and provides a simple alternative to the Innobender. Plus the mini Innofader PNP P version works as a replacement fader for even the tightest of mixer and controller spaces. 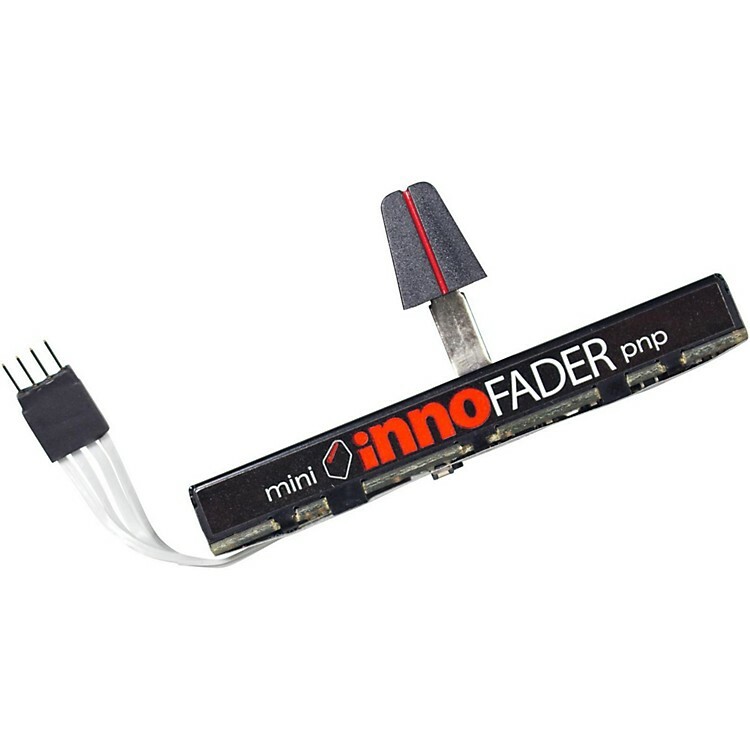 The Innofader is the ultimate replacement audio fader. It gives you an ultra precise ± 0.05mm cut-in accuracy for even tighter control of your scratches. Separate left and right cut controls make it easy to adjust without the need to recalibrate. It even has super-precise presets that allow you to do things like shift the cut point by a mere 0.04mm, less than the thickness of a human hair. The adapter boards are already insulated and marked clearly to show you the specific one you need for your mixer. You no longer need to be less than satisfied with the stock fader in your mixer. Change your fader, change everything.